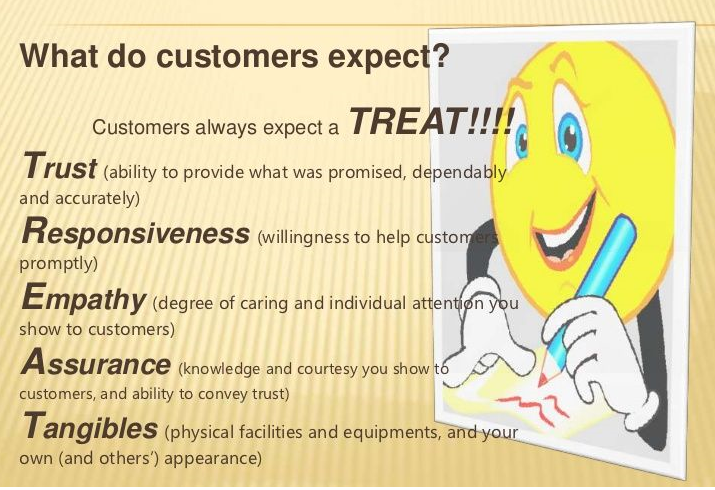 Every business strives around delivering exceptional customer service. Temkin Group says after having a positive experience with a company, 77% of customers would recommend it to a friend. One of the golden rules of customer service is to offer prompt support in real time. By following the right live chat etiquette, we can not just deliver better customer service but it also helps to boost your customer experience. But what happens when you don’t deliver good customer service? For example, when a customer support agent addresses a female customer as ‘sir’ or your customer had to wait for 15 mins before getting connected to the support representative. Temkin Group says after having a positive experience with a company, 77% of customers would recommend it to a friend. Dissatisfied customers adversely affection to your brand reputation, eventually, you tend to lose many customers. The above examples indicate that the agent missed the basic understanding of live chat etiquette. If you are one of those who to avoid such mistakes, follow the chat etiquette for your customer support team. Poor customer service fails to satisfy customers and effects your business rapport as well. Here are some of the suggestions for the areas of live chat etiquette that should be considered to create a perfect live chat support experience. The most important live chat etiquette is that your agent should be able to endeavor to frame the conversation in a positive manner. The agents should also be cheerful and polite as it is not only about resolving a query but also about the right way it is done. Listen patiently to your customers. Allow them to explain their problem. Listening and understanding where the actual problem lies helps to resolve it quickly and efficiently. Avoid using – I think/I feel/I believe instead say “There might be an issue here, let me check this”. In case there is some negative news to share, the agent should pace it in the starting of the conversation and sharing the positive news towards the end to have a positive effect on customer enjoyment. Like everyone, customers also don’t like to wait. They expect an effective response for their query in real-time. Rightly developed canned responses can help in handling customer’s problem effectively and quickly. Canned responses can maximize a customer support team’s efficiency to smoothly handle multiple chat sessions and balance the response time efficiently. We have received your message and we are working on it. We are still working on your case. We will update you soon. Your problem has been resolved. Were you happy with the resolution? Have you ever thought that your customers might get a feeling that they are talking to a robot? It happens many times that customers end up with the feeling that the entire chat conversation was robotic. The main reason is the support agents fail to give the human touch while handling customer chats. Missing out the human touch can risk your business losing customers dissatisfied. So, adding a human touch to the chat conversions is a must chat etiquette that every business should follow. Read more about how to humanize digital customer experience for meeting your customer satisfaction level. Customer feedback is very important for every business. One of the best ways to know about customer satisfaction is through feedbacks. Feedbacks provide valuable insights that can help to enhance your product and business process. The end of a live chat session – When the live chat session completes you can ask customers to give feedback about their chat experience. When the customer service request ends – You can ask for feedback to your customers after you meet your customer service request. A demo is offered– Once you give the product demo, ask your customer to provide the product feedback. The transaction is done – After a successful transaction checkout, you can ask for customer feedback. Asking feedbacks from customers and acting on it is an important live chat etiquette and a key factor that determines business growth. Feedbacks help to transform your brand products and services to gel with the needs of your customers. At times, when you guarantee or promise your customers of something, for e.g. free delivery, keep that promise and spare the disappointment in the future. The worst truth is better than the sweetest lie. It shows that you can’t respect your duties regarding your customer for reasons outside your ability to control. Be clear – Reply your customers yes or no and slightly elaborate it. So, never be over promising to any customers. It is one of the best live chat etiquette and helps to authenticate your customer service. It is better to provide a feasible timeline than to rationalize it later. When we talk about live chat, the lesser is the response time the higher is the customer service. Forrester research says more than 30% of customers expect live chat on your website because customers get irritated if they don’t talk to a live chat agent right away while 45% of customers will abandon a purchase if they don’t get an instant answer right away! The best way to win the hearts of your customers is to close their cases in the first contact itself, without having them have to come back multiple times and go over the same questions again. So practice this live chat etiquette to gain more customers. Also, your agents should accept multiple chats requests automatically and deliver them a quick meaningful solution they are looking for. Although at times there might be some general chit-chat with customers, that is appreciated, going out of topic often is not a good practice. Making it a part of live chat etiquette follow this for all first time as well as returning customers. For e.g. saying ‘Let’s get back to business’ usually helps with bringing the visitor back to the right subject. An on-topic discussion is generally appreciated by the customers as it reduces the wait time and helps them to resume their work after the quick query resolution. Dealing with the mood of your customers is an art. Show your artistic beauty in handling customers complaints and angry customers. A well trained and knowledgeable team dissolves the customer queries very quickly. Hence the first contact resolution is improved along with team productivity. Emojis are widely used to add meaning to business communications. It is a way to personalize chat conversations and ease the situations where a word can be negatively interpreted. For instance, the word ‘ok’ can be interpreted in different ways is a neutral word. Adding an emoji along with the word can be made expressive “ok :-)”. Never use ALL CAPS sentences for a chat. Ideally, capitalized sentences stand for shouting so using capital words may give a commanding or rude feeling. Chat conversations with customers are going at a pace, so abbreviations should be used in the right place and time. Excess use of abbreviated shows you a lazy person. Generally, customers are not aware of specific terminology. It is an important chat etiquette that you make them understand those in simple terms and avoid jargon. You should focus on using simple and precise questions. It always helps to locate the issue instantly and resolve it. You need to make sure that the chat solutions that you offer to your customers should not have spelling or grammatical errors. You also need to read the complete questions asked by your customers and prepare your answers accordingly. Make sure you leave your customers unanswered. It is important to know where to route the customers asking for detailed product specifics or a particular section of the website. This can be possible with a comprehensive base of links. Your agents should know the offers – as in – what they are saying about the product or service. A well trained and knowledgeable team never fails to impress customers. Not knowing the right behavior can get your business in great trouble at times. That’s the reason why we need a manifesto of live chat etiquette. The above mentioned 12 live chat etiquette tips will certainly help you to provide exceptional customer service. However, these are not the only rules of conduct that your team should follow. If you have your own rule, please let us know in the comments section.